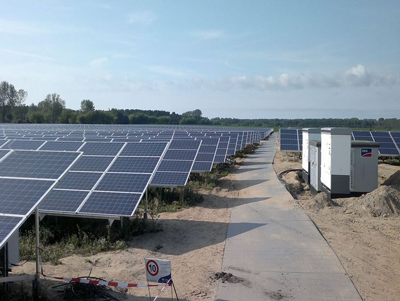 A very warm welcome to ENLES - your competent partner for solar pv and energy storage. Please inform yourself quickly about who we are, what we do and - above all - what we can do for you! Our core competence is to offer the whole range of services around Solar Photovoltaic - design, installation, O&M, education&training and last but not least monitoring/troubleshooting. Our professional services contain the whole range - from the very first briefing to the hand-over after finishing the project. Furthermore we offer the reliable assistance for the lifetime of the solar pv system, known as Operation&Maintenance. Mostly we are involved in projects of commercial scale or in projects initiated from goverments and realised via the UN, the GIZ or private investors. Residential installations are also in the mix of our portfolio. Costs have come down of solar pv and many projects are in the pipeline around the world. We are happy to be a part of this development and that many projects will be realised worldwide in the years to come. ENLES GmbH & Co.KG has been successful on the renewable energies market for over 16 years now. We are specialists in the field of solar electricity with comprehensive know-how of the entire spectrum and an extensive range of services. We set up new installations at short notice and with wide- reaching expertise – for existing installations, we offer long- term and optimum support. One of our core competencies is the assessment and inspection of existing installations, for instance in the context of a planned sale or a change of investors. The following services, e.g. O&M, monitoring and failure management are of course included in our range of services. Purpose: To be a leader in the solar pv field by providing enhanced services, relationship and profitability. Mission statement: To build long term relationships with our customers and business partners and provide exceptional customer services by pursuing business through innovation and advanced technology. Goals: Regional expansion in the field of solar pv management and develop a strong base of key business partners. To build good reputation in the field of solar pv management and become a key player in the business.